Eerie exploits and fictional frights long ago cemented Kansas City’s reputation as the Haunted House Capital of the World. 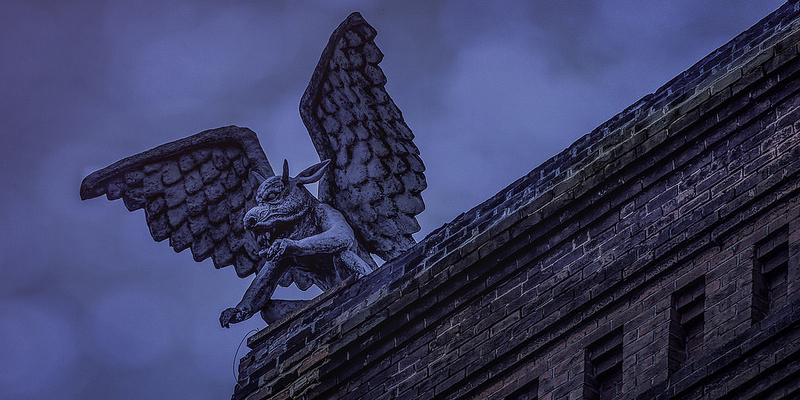 But KC also holds other haunted secrets—a few well-known locations around the city where a creak in the floorboards or a cold draft may be more than just a bump in the night. Gather ‘round the campfire and discover the true stories behind Kansas City’s real haunted houses. One of KC’s oldest ghostly residences is the John Wornall House. A prosperous farmer in Jackson County, John Bristow Wornall built his now-infamous home in 1858. The Civil War broke out soon after its construction, dividing the nation and causing friends, neighbors and even brothers to take up arms against one another. The historic Battle of Westport, which took place in 1864, occurred just a few blocks from the Wornall family home. 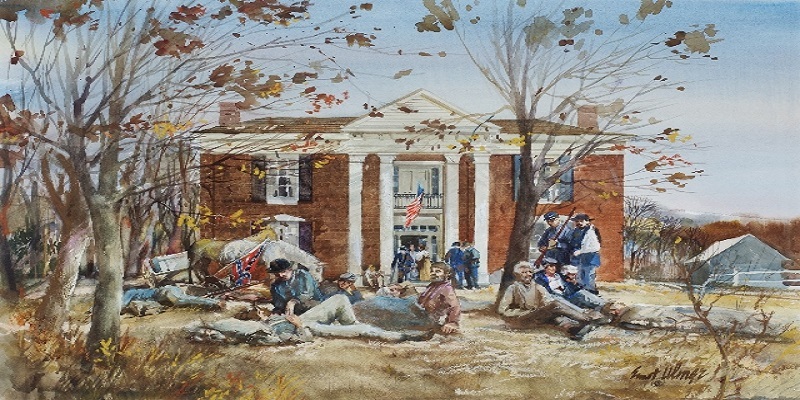 The residence became a field hospital during the conflict, where soldiers from both the Confederate and Union armies were treated. But not all could be saved. As a result, these spirits are said to roam the halls of what is now the John Wornall Museum. Employees and guests alike have reported several instances of otherworldly phenomena, including the smell of pipe tobacco filling a room, mysterious figures in windows and ghostly armed soldiers guarding the doors and patrolling the balconies. Visitors can experience the atmosphere with ghost tales, candlelit tours and other ongoing events throughout the calendar. 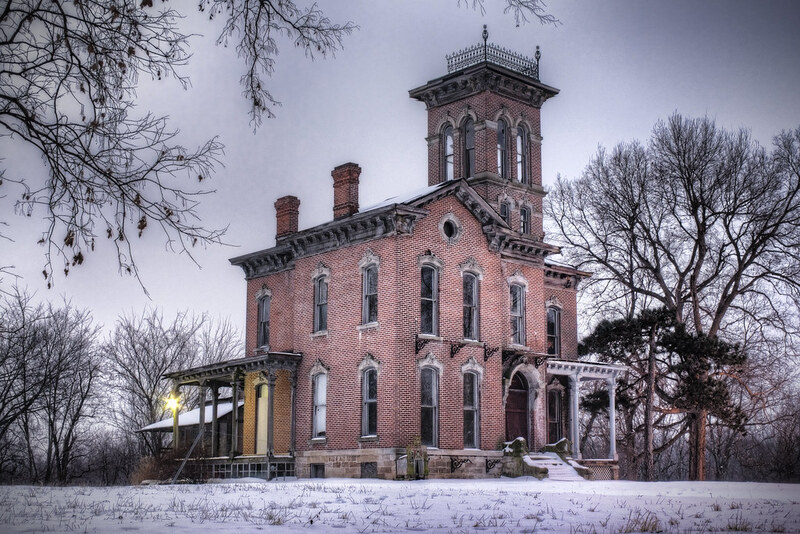 The charming town of Atchison, Kan., which lies about an hour north of Downtown KC, is home to what is considered by many to be the most haunted house in the Sunflower State. The residence was once occupied by a doctor and his family, with the physician operating his entire practice on the bottom floor of the house, from examination room to operation table. The house’s most famous patient, however, was a 6-year-old named Sallie, whose spirit is said to have never left. The young girl came to the house seeking medical care for a stomachache, which was promptly diagnosed as appendicitis. Sallie required immediate attention, but, as the legend goes, didn’t survive the operation. Over the years, many have tried to make the house a residence. In the early 1990s, a young couple and their child moved into the home and reported strange occurrences throughout the house. Their dog seemed to bark at nothing in particular, especially in the upstairs nursery. The room downstairs, where the operating table once stood, would suddenly go cold without any explanation. As the story goes, the situation transitioned from curious to ominous. Fires would randomly break out in the house and soon the husband became the regular target of a sinister attacks that left marks on his chest and abdomen. The wife and child were never harmed, however. Eventually, the family cut its losses and departed, leaving behind a string of spooky tales oft-chronicled by TV networks, including A&E, The Travel Channel, The Discovery Channel and SyFy. 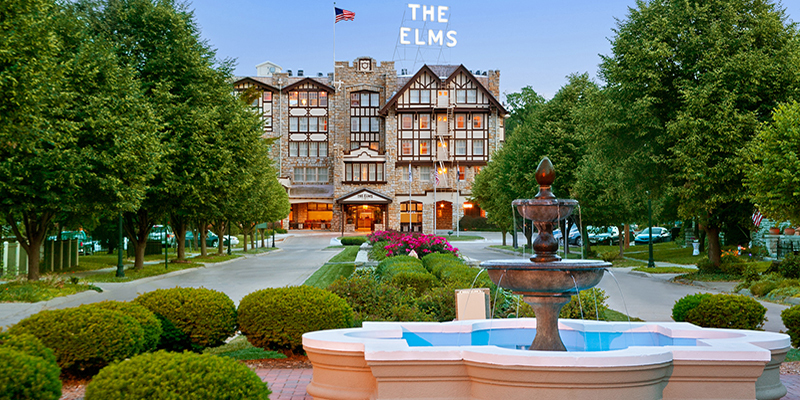 A much-lauded resort loaded with history, The Elms Hotel & Spa is reported to have its own collection of spirits that walk the halls of the resort. Many may not know that two fires destroyed previous iterations of the hotel (both in 1898 and 1910), and while neither fire claimed any lives, some stories suggest that a spirit who never checked out is responsible for one of the incidents. What’s important to note here is that everyone, from staff to visitors, maintain that the ghosts who permanently reside at The Elms are friendly. Rumors insist that a Prohibition-era gambler likes to hang out near the resort’s lap pool. Others say that the housekeeping staff is aided and advised by a ghost decked out in 1920s-style maid uniform. Regardless, the hotel embraces its past and was featured in an episode of SyFy’s Ghost Hunters. 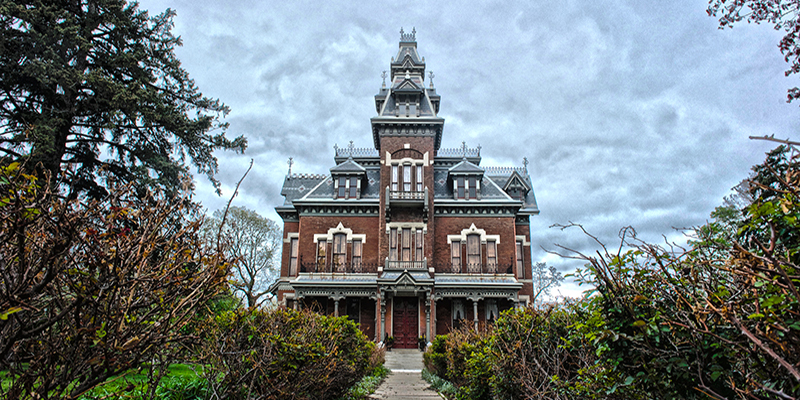 There’s no doubt that one of the most mysterious ghostly sights in KC is Sauer Castle, located in Kansas City, Kan. Although now a private residence, the 18th-century, German Gothic mansion was built by Anton Phillip Sauer, an Austrian who’d relocated from New York City by way of Vienna after his wife passed away in 1868. Sauer resided there with his five daughters and soon remarried a young widow with children of her own. Sauer himself passed in 1879, but the Sauers and their descendants continued to live there until the mid-1980s. Unfortunately, their history is riddled with sorrow. Not much is known about the hauntings that supposedly go on in the home. A key feature of the house, however, is the watchtower. Though the castle has been vacant for more than a decade, regular reports include lights appearing in the tower, along with apparitions of both a woman and a boy seen standing and walking in front of the property’s windows. Just eight minutes from the John Wornall House is another Civil War-era home with a history of soldierly hauntings. 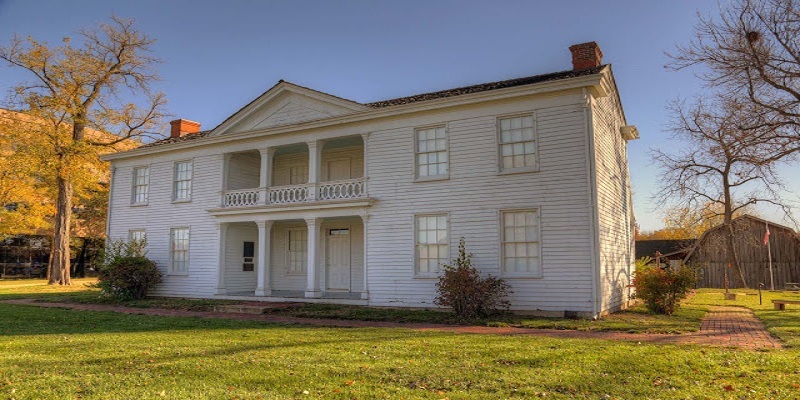 Constructed in 1856, the Alexander Majors House presided over a 300-acre farm and overlooked what was then Kansas Territory. Visitors have been said to encounter the spirit of deceased caretaker Louisa Johnston, a reportedly friendly specter who spent her pre-ghost life restoring the home. Visitors can participate in ghost tours, haunted happy hours and plenty more. 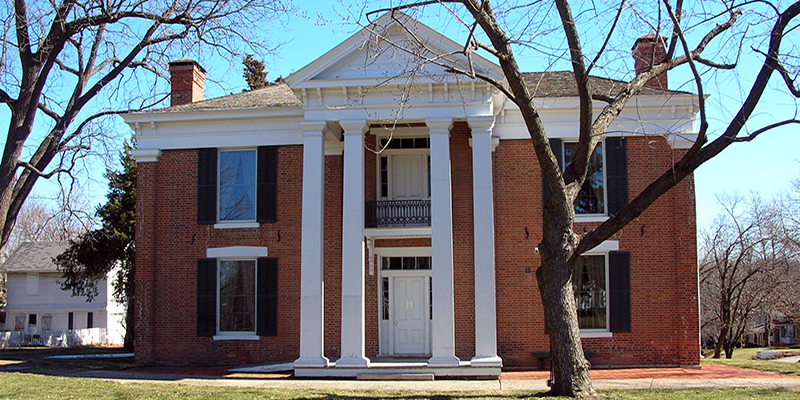 An impressive example of Second Empire architecture, Independence’s Vaile Mansion maintains a reputation as one of the preeminent history destinations in the region. Yet while the home is preserved today for guests to visit year-round, some say that spirits have haunted the residence for decades. Originally constructed in 1881 by married couple Harvey and Sophia Vaile, only two years transpired before tragedy struck the family. Sophia, who had been diagnosed with stomach cancer, was found dead at home due to a morphine overdose while Harvey was away on business. Vaile never remarried and eventually passed away in 1895. Reports have since indicated sightings of Sophia’s ghost all throughout the house, including peering out of the mansion’s windows. It’s known to cause such a fright among passersby that many cross to the other side of the street when they come upon the mansion. Combined with KC’s pioneering use of the “open format,” which allows visitors to wander without a predestined path, the city has earned the moniker of “The Haunted House Capital of the World." Kansas City autumns are a special time as the bustle of some of the city’s biggest events becomes the talk of the town, whether it be tossing the pigskin or saucing your pulled pork.